Developed and refined over many years, the PRS David Grissom signature amplifiers bring David Grissom’s discriminating tone to players looking for a highly responsive, musical amp rig. The PRS “DG Custom 50” comes in blonde vinyl with a cherry stained mahogany fascia and un-tinted salt and pepper grill cloth. It is a straight-ahead, articulate, and organic-sounding amplifier across the tonal spectrum. 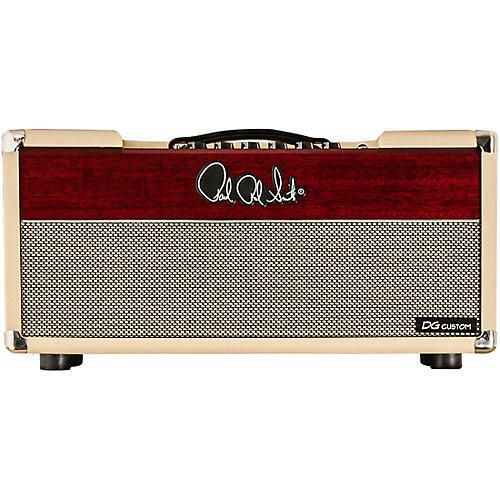 With four EL34 power tubes delivering 50 watts, this amplifier has a breathy, open tone. Dimensions: 24 x 11.5 x 24 in.